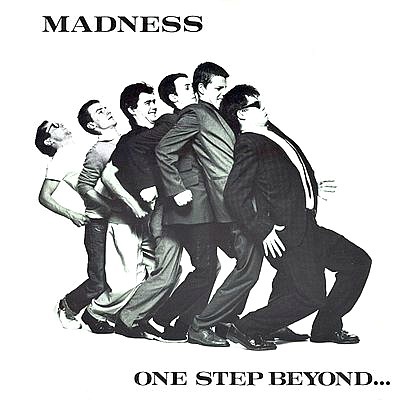 Formed in 1976 during the 2 Tone and Ska revival, Madness came from Camden Town in London. In 2009, the band performed with their most recognised line-up of seven members, and released a new album The Liberty Of Norton Folgate. 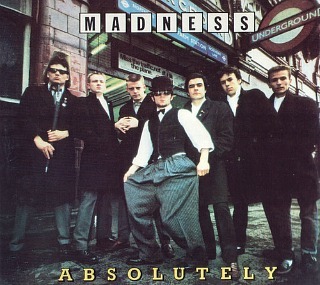 Madness were most successful in the early to mid 1980s. They spent 214 weeks on the UK singles charts over the course of the decade, holding the record for most weeks spent by a group in the 1980s UK singles charts, along with UB40. 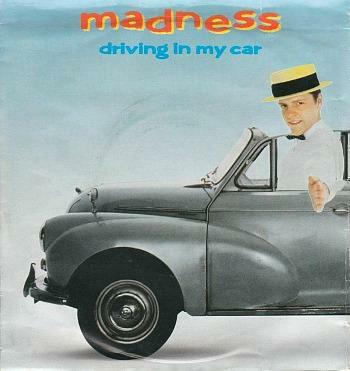 However, Madness achieved this in a shorter time period (1980–1986). The band's debut album was their most successful release alongside the second album Absolutely, both of which reached No.2 in the UK album charts and achieved a platinum sales certificate. "The Prince" was released as the lead single from the album, reaching No.16 in the UK. 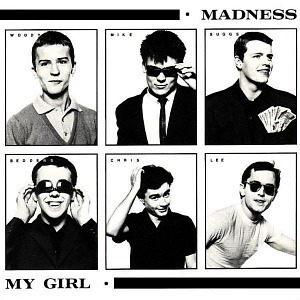 The title track was released in October 1979 as the second single and is very often the opener at Madness concerts. It is actually a cover of an instrumental track by Prince Buster - he is a Jamaican singer/songwiter who was heavily involved in the Ska movement which started in the 1950's- and featured on the B-side of his song Al Capone. The intro on is spoken by the band's trumpet player and backing singer Chas Smash. The line "Don't Watch That, Watch This" is also from a Prince Buster song called "The Scorcher". 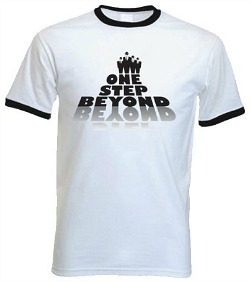 "One Step Beyond" reached No.7 in the UK singles chart, and also did well in France and Switzerland where it reached No.1 and No.3 respectively. In 1980 the "Work Rest and Play" EP was released which reached No.6 and included "Night Boat to Cairo" as the lead track. It was written by Mike Barson and lead-singer Suggs, and the song was released as a stand-alone single in 1993, but stalled at #56. I remember that there were always plenty of arguments in the school playground about whether Absolutely was better than the first album, and the conclusion was always that there was nothing to pick between them. This was an album packed with magnificent tunes (each one could have been a single) and featuring the energy of a young ska pop band who were having the time of their lives. 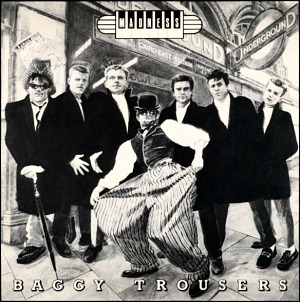 "Baggy Trousers" was released by Madness in 1980 as the lead single from the album Absolutely. Released on September 5th 1980, the song became a big autumnal hit here in Britain, peaking at No.3. Now this one was very popular at the school disco, and the video is best-remembered for the moment when the group's saxophone player, Lee Thompson, is seen flying in the air whilst playing his solo. Two further singles also became top ten hits. "Embarrassment" reached No.4 and "The Return of the Los Palmas 7" reached No.7. Inevitably, the sound was a little more mature on this third studio album, but the melodies were still very strong, and 7 provides the first sign that the band were seeking a change of direction, although it's still very much a "nutty boys" album. It reached No.5 in the UK album charts, achieving gold. Lead single "Grey Day" (the band's seventh overall) reached No.4 with the follow-up "Shut Up" reaching No.7. 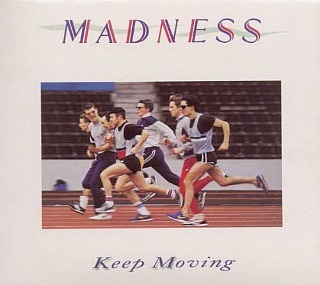 Before the third and final single "Cardiac Arrest" was released in Feb 1982 (reaching No.14), a cover of the Labi Siffre song "It Must Be Love" was released on 25th Nov 1981 to promote the band's first compilation Complete Madness, reaching No.4 in the UK. In May 1982, the band released the non-album single "House Of Fun", which became the band's first and only British chart-topper. 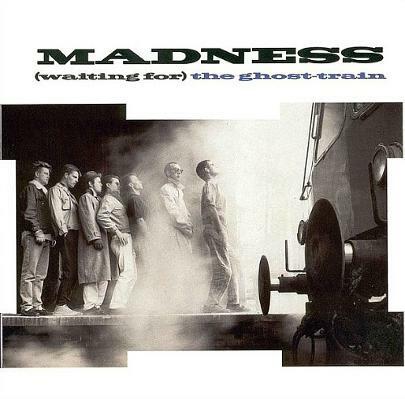 Madness were at the peak of their songwriting prowess with their fourth album (released Oct 1982) The Rise & Fall, which features one of their best-known hits "Our House" and the fabulously melancholic and upbeat "Tomorrow's (Just Another Day)". The LP featured a more prominent change in direction from the ska influences of the previous albums, although this move was a controversial one. 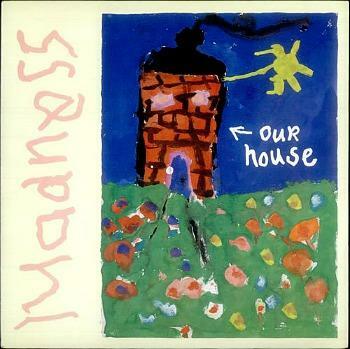 The band's thirteenth single "Our House" was the first single to be taken from The Rise & Fall and was released in November 1982. It reached No.5 in the UK and also reached No.7 on the Billboard Hot 100 in America. The only other Madness song to break into the top 40 in the U.S. was It Must Be Love. If you watched the 2012 Diamond Jubilee celebrations then you will remember that live performance of this song which featured a brilliant light show, in which the palace was transformed into terraced housing and a dolls house, along with many other imaginative projections. 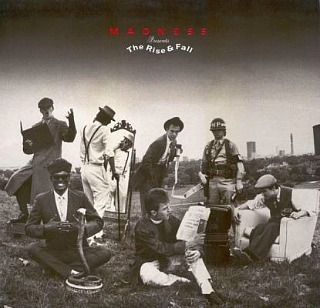 The double-A side "Tomorrow's (Just Another Day)"/"Madness (Is All in the Mind)" was released as the second and final single from The Rise & Fall in March 1983, reaching No.8 in the UK singles chart. "Driving In My Car" was released on 24th July 1982 as the band's twelfth single (before "Our House"), and spent eight weeks in the UK charts. It peaked at No.4 in July 1982. The lyrics refer to a Morris Minor that the band used to drive earlier on in their career before hitting the big time, and which also featured in the video. In Aug 1983, the band released their fifteenth single "Wings Of A Dove" which reached No.2 and was later included on the compilation album Utter Madness. In Oct 1983, "The Sun and the Rain" was released as a non-album single (their sixteenth overall), reaching No.5 in the UK. The band's fifth studio album featured a much more mature and diverse sound than their debut album (you could say less "nutty") and is also much underrated. 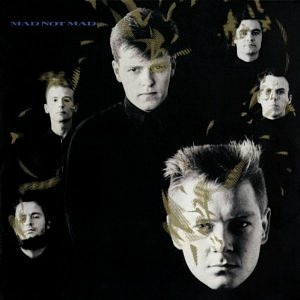 This was the final album with the original line-up. Despite reaching No.6 in the UK album charts (4 places higher than their previous album), the overall sales were slightly disappointing, only achieving a silver certificate. The two singles from the album both failed to reach the top ten. "Michael Caine" peaked at No.11, and "One Better Day" reached No.17. Released on 30th September 1985, this was the band's final album of the 1980s. The sound was much more pop-orientated and smoother, and less influenced by the ska sound. This was the first album without the original band line-up (keyboardist Mike Barson left the group in 1984) and the first to be released on the band's own label Zarjazz. Three singles were released from the album; "Yesterday's Men" (No.18), "Uncle Sam" (No.21), "Sweetest Girl" (No.35). The latter two were thr first Madness songs not to reach the UK top 20. Shortly before this release of the band's final single of the 80s, the band announced that they were to split-up. They successfully managed to convince ex-band member Mike Barson (he left in 1984) to rejoin the band for this farewell tune. With its haunting anti-apartheid lyrics, this was a very decent song to be ending a successful musical career with. Written by frontman Suggs, the lyrics criticise the then Prime Minister Margaret Thatcher for supporting the Apartheid regime, and also attack Queen (the band) for performing in South Africa. 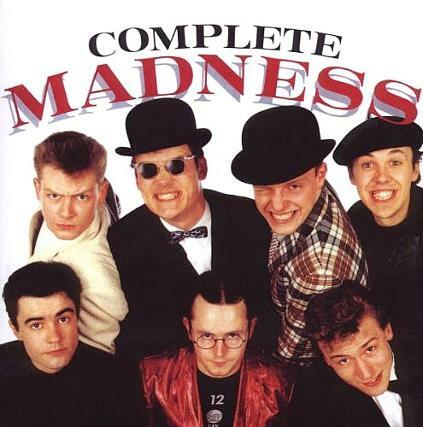 Madness reformed in 1992 after a six year break.